Every child at our school is valued and encouraged. We recognise that all children have potential and do our best to provide a caring, supportive environment in which they can learn and develop. We are a church school - what does that mean? As a church school, St Botolph's aims to develop its religious character by taking into account the principles of the Church of England and promoting Christian Values through the experiences that we offer to all our pupils. Our values are taken from the Bible and they are at the heart of our school. 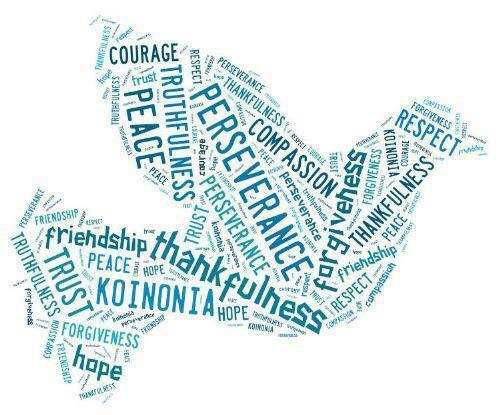 At St Botolph's we embrace the following Christian Values. Our Christian Value for Autumn Term 2 2017 is 'Truthfulness'. "Then you will know the truth, and the truth will set you free." We are linking our learning on truthfulness to the Bible Story of Daniel and the Lion's Den. For some ideas about supporting this Christian Value at home, please see the link at the bottom of the page. Our daily acts of Christian Collective Worship play a central role in the life of St Botolph’s. They provide us with valuable opportunities to reflect upon our Christian Values and ethos. It offers important opportunities to strengthen our sense of community, belonging and inclusiveness and to reinforce the respect and care we have for each other. Through collective worship we make a significant contribution to the religious, spiritual, moral, social and cultural development of those present. We regularly have Worships led by members of the Sleaford Clergy as well as New Life Church. 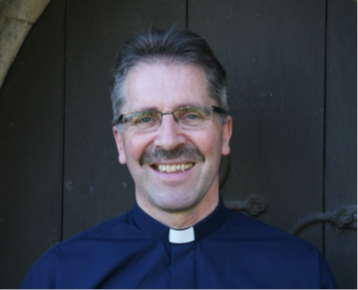 Here at St Botolph's we work in partnership with St Botolph's Church and our vicar Reverend Mark Thomson. On a Friday we enjoy our whole school celebration assembly where 2 children from each class receive certificates for their hard work and excellent behaviour. We also award certificates for children taking part in Accelerated Reader and Mathletics challenges. Each year we hold a Harvest, Christingle, Christmas, Easter and Leaver's Service. These services are led by the children with input from the local church. Our school entrance hall clearly displays the Christian symbols that encapsulate our school including a large cross and reflective paintings. Each classroom has an area for Christian spiritual reflection and a Cross designed by the children. The centrepiece of our wonderful atrium is a font. We display objects on our font to remind us of our Christian Value. Our school hall, where we meet for Worship has a large, colourful cross and artefacts such as a candle used to aid worship. We use cloths to represent the liturgical calendar and mark important times in the church year. Each week, as part of our Friday Celebration Assembly, we hand out a Christian Values Award. School staff choose children from each class who have really 'lived out' a particular Christian Value that week. Well done to all of the children - you make us so proud! Christian Values For more information on our Christian Values, see the Christian Values for schools site.